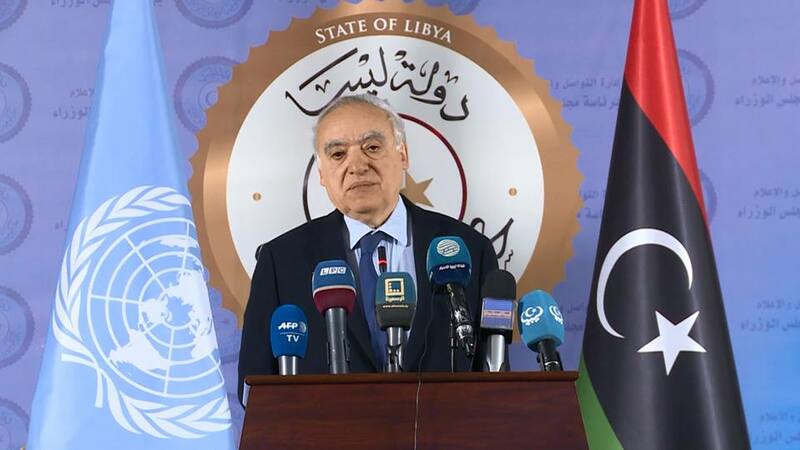 The UN envoy to Libya, Ghassan Salame, has reiterated the calls of the Secretary General on all sides of the fighting to deescalate and commit to the political process. In a presser on Saturday in Tripoli, Salame said the aim of the UNSMIL is achieving peace and helping the Libyan people. He also said that the UN is working on a political solution to the crisis and won't accept a military solution. "We are following closely the current fighting for Tripoli and working on protecting civilians." Salame added. He indicated that there is not alternative to the Libyan National Conference to end the political stalemate, adding that holding the conference amid the current fighting is very difficult but the UNSMIL will do its best to hold it on time unless hindrances forced the mission to delay it.